Happy Friday everyone! My obsession with all things fall continues...you'll definitely want to try this easy recipe to make your very own pumpkin spice latte. It's so yummy, so fall, and you don't have to leave your house, or pay $5 a cup! First, brew your espresso. 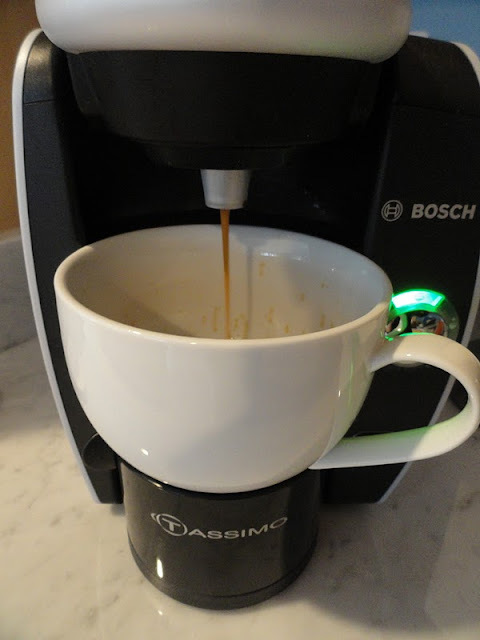 I don't have a regular coffee maker, so I used an espresso disk for my Tassimo. 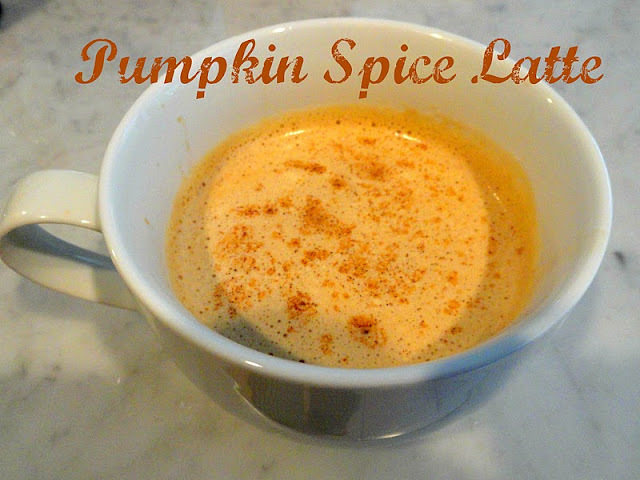 While your coffee is brewing, mix your milk, sugar, pumpkin, and spices in a small saucepan. Heat until it's just about to boil, then take it off the heat and add vanilla. 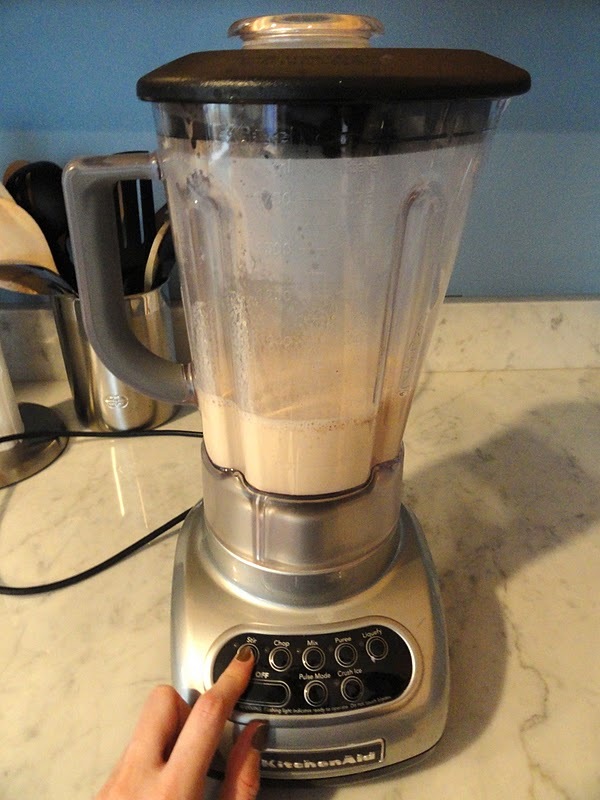 Transfer to a blender or frother and blend until frothy. Now, combine your milk mixture with your espresso. I didn't measure for this step, I just tasted until I was happy with the result. Top with extra spices and enjoy! You'll have enough of the milk mixture to make about 2 lattes. You can adjust pretty much everything to your taste! I've made this a few times and skipped the blending/frothing part and it's just as good! Hope you all have a great weekend! Happy latte making! Ahhhh this looks fabulous and so deeelish. Thanks for the recipe! This looks so delicious. 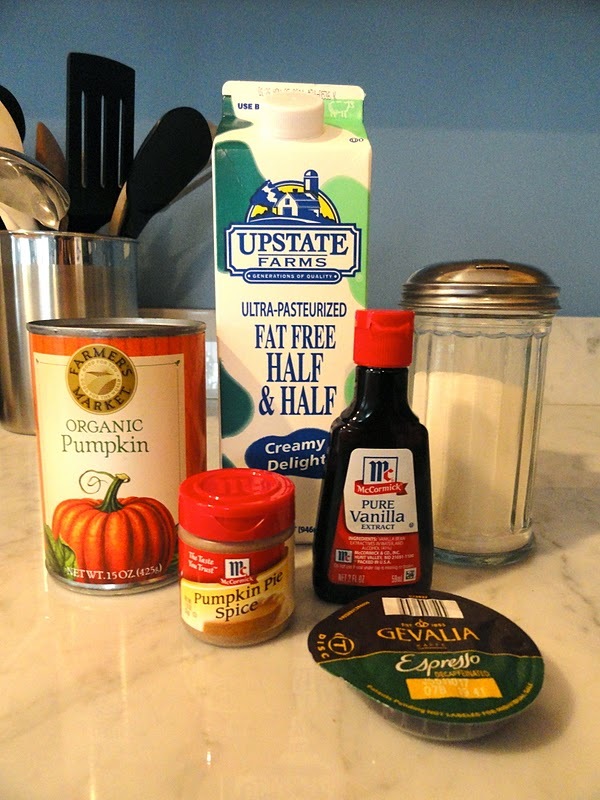 Using canned pumpkin is a great idea. Thank you!